If you're a frequent driver of Connecticut back roads, you're probably familiar with the experience of suddenly coming upon an unexpected town or village. There's always something a little bit incredible about "discovering" an entire, fully realized place that's not far from where you live but that somehow has managed to elude you for years. I felt this way when I stumbled over North Stonington Village, and when a detour led me to the center of Chester, and when I first happened to drive through Broad Brook, one of the five villages that make up the town of East Windsor. No matter how many times it happens, I always feel slightly abashed for not knowing about the place earlier. But that feeling of shame is quickly eclipsed by one of "Hey, this should be a blog post!" Because the building above really deserves to be in a blog post, don't you think? 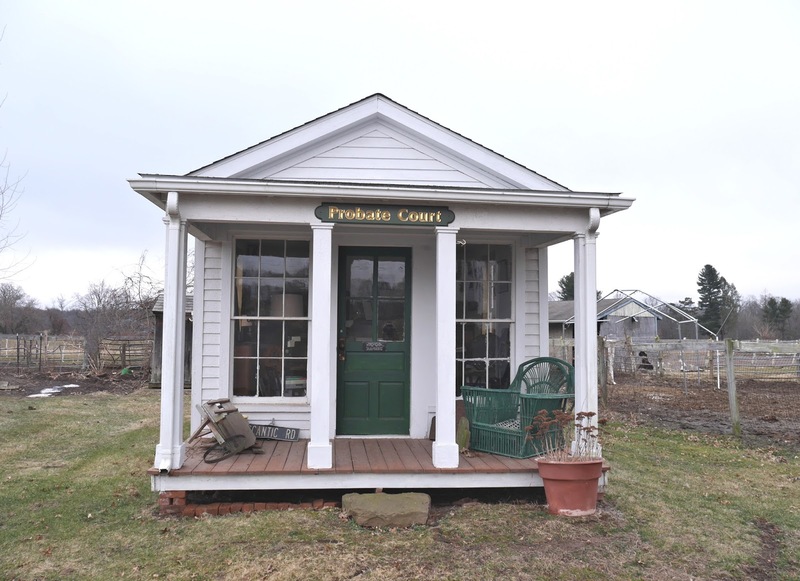 The former Ertel/Geissler Barber Shop, it used to be located on Main Street in Broad Brook until 1967, when it was moved to the grounds of the East Windsor Historical Society in Scantic. And then there's the wee East Windsor District Probate Court building, moved here from Warehouse Point. It was also apparently a doctor's office at one time. Like the barber shop, it was transported to its current location on the back of a truck. 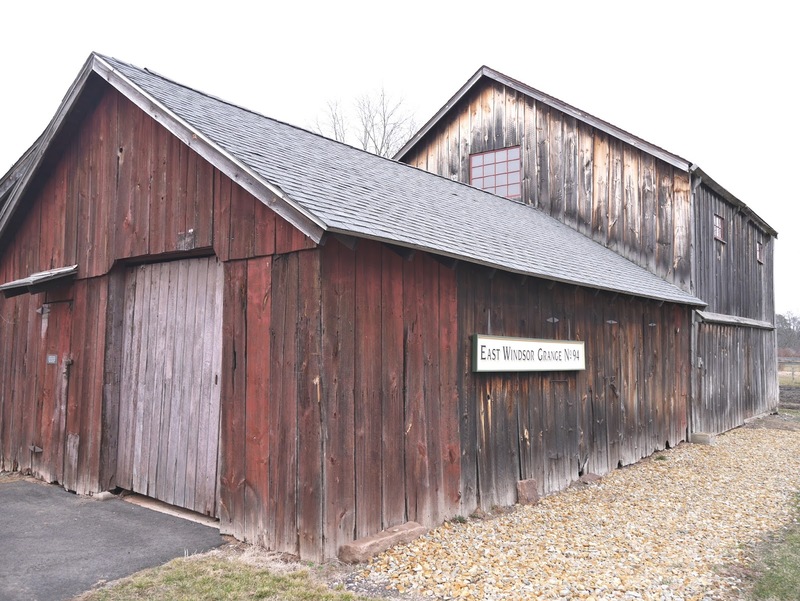 The Historical Society grounds are also home to this barn, a reconstituted tobacco shed turned farm tool museum. The Grange sign once hung on the Academy building, when it was used as a Grange Hall. 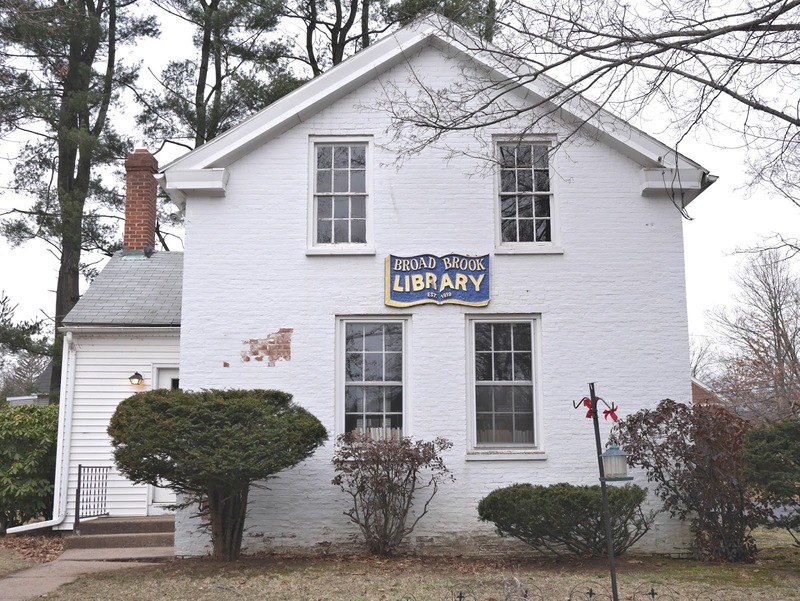 There's also the Broad Brook Library, built in 1919. 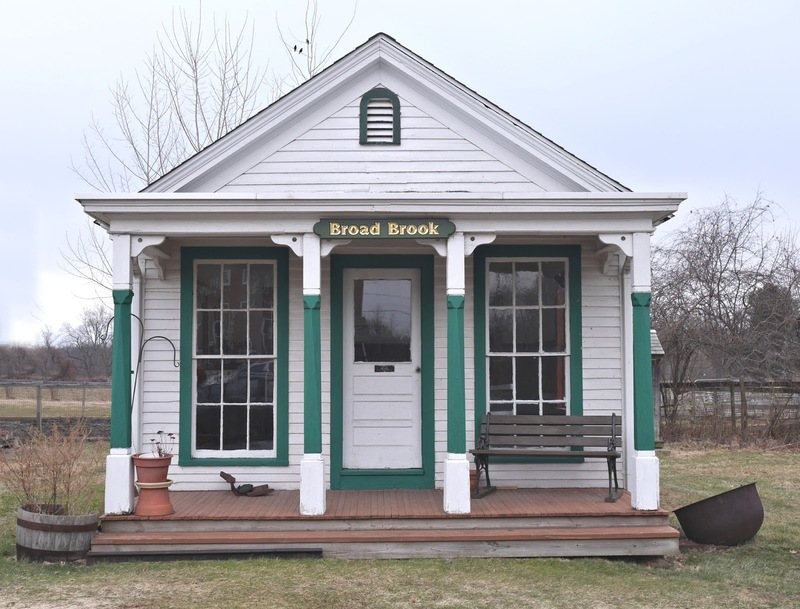 The library's Facebook page describes the building as "unassuming" and says, "It is easy to pass the Broad Brook Library without even noticing it." I disagree; in fact, I distinctly remember that the first time I drove down Main Street in Broad Brook, I thought the library looked particularly adorable. 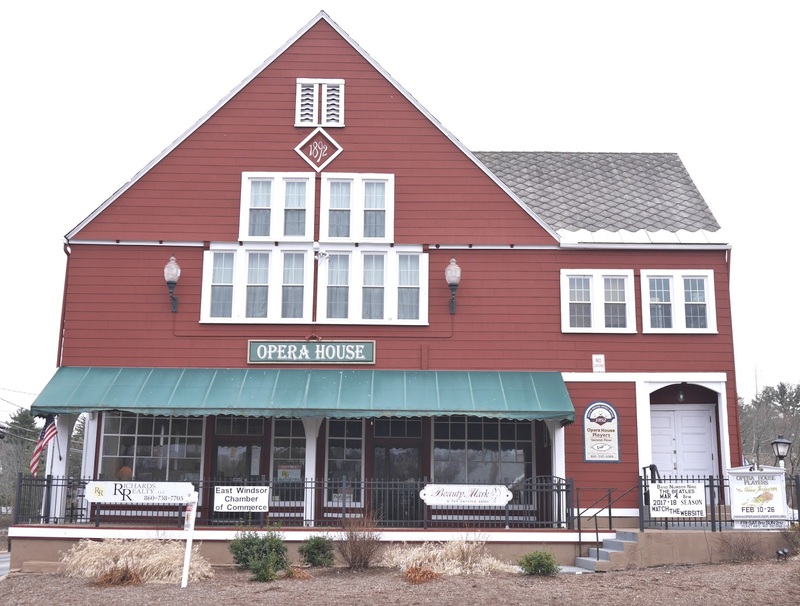 And of course there's the village's best-known attraction, the 1892 Opera House. 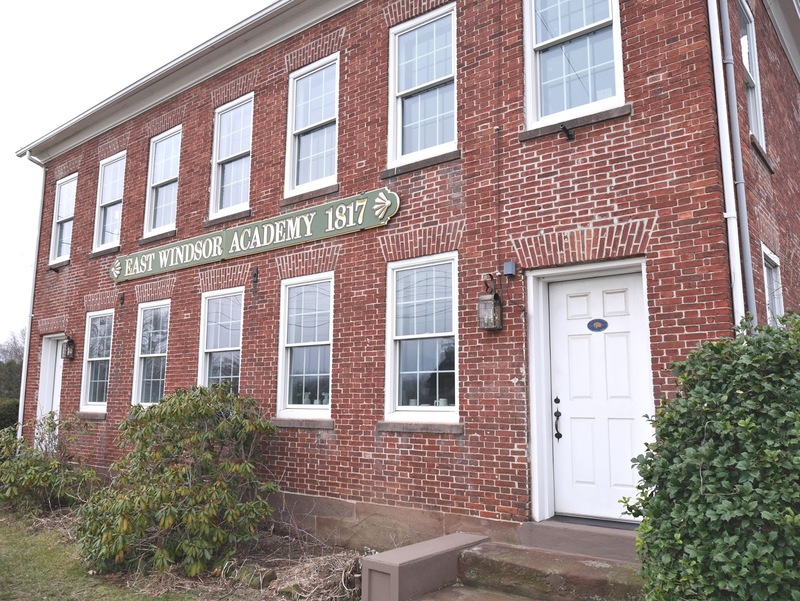 The history of this building reads like a whirlwind tour of the history of business in Connecticut. 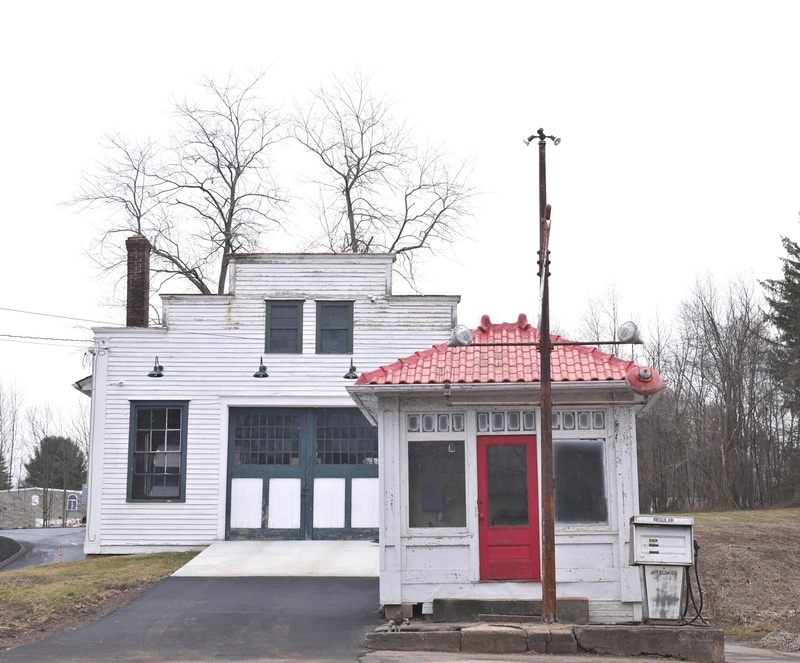 It was built by the Broad Brook Woolen Company and the first floor was used as their showroom and shipping department until the 1920s, when it was occupied by an ice cream parlor, newsstand, shoe store, and post office. In the 1970s, it housed an insurance company. Meanwhile, the second floor was used for "operettas, stage plays, graduation exercises, minstrels, military balls, dances, card parties, basketball games, town meetings, election voting, and meetings for civil defense during World War II." In 2003, it became a theatre that is now used by the Opera House Players. Across Depot Street from the Opera House, water from the Broad Brook Mill Pond tumbles over a dam and continues under Main Street. On the other side, it reappears as (you guessed it) Broad Brook, which eventually joins the Scantic River, which then empties into the Connecticut River, which bisects the state, passing other unexpected villages as it flows along. I read in a book that Harry Houdini performed at the opera house once. I was driving around one day,just trying to clear my head, and I came across a side street I didn't even know was there! At the moment I can't remember the name of it, but I was just surprised to see a street I haven't noticed before, and I've lived in Broad Brook since 1996.